Media often create ‘celebrity vegetables’ dependant on what’s hot and what’s not for that particular month. Papers and digital publishers are quick to jump on the next new super-food, which often feels like a clever marketing campaign simply to whack up the prices. Yet, we often take for granted what’s right under our noses and not going to break the bank. 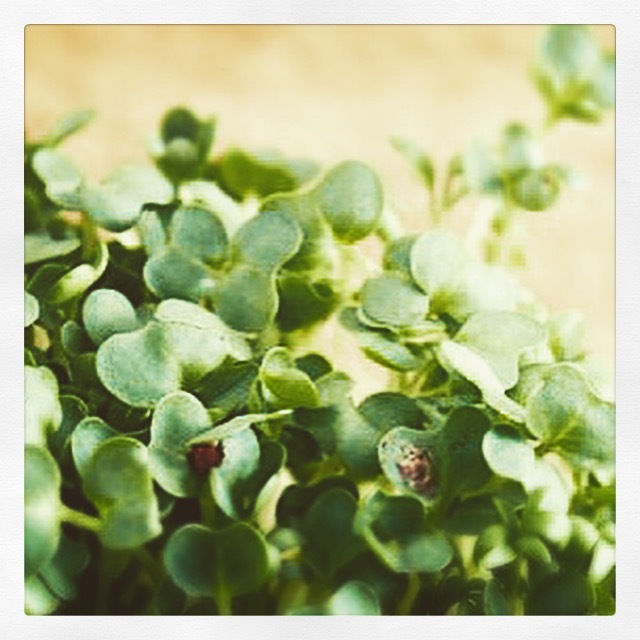 Last year I remember watching Channel 4’s Food Unwrapped programme, where the beautiful Kate Quilton looked into the modest yet powerful Watercress; the salad’s unsung hero. No longer is the battle between Kale and Spinach for the King of Greens, there’s a new contender in the mix, and there’s plenty of reasons as to why. It is a rich source of vitamins such as vitamin C, and Is jam-packed with minerals. What’s really interesting is it contains high levels of bone-building and strengthening vitamin K, and vitamin A, which is important for eye health. Watercress also holds significant levels of glucosinolate compounds and some studies now suggest that these have anti-cancer effects. Eating these compounds appears to help inhibit breast, lung, colon, and prostate cancers. Packed with significant levels of iron, more so than Spinach, this salad leaf is a great source to help fight illness, improve blood circulation and support a healthy digestive system. So next time you’re making a salad or sarny, consider this little salad base as a great way to pack yourself full of goodness. Check out some Salad Munching for recipes. Anyone in my office at work will tell you my borderline worrying obsession with avocado. In the last year I have probably consumed the entire Mediterranean’s supply of these large berry fruits. These day’s I don’t even bother to peel or chop, it’s simply slice in half, de-stone, sprinkle with salt and pepper and dig in. Fortunately for me, this addiction is one of health. Yes, they are high in fat, but these are good fats, not saturated and are vital for a healthy digestive system. These fruits are extremely high in fibre which can help prevent heart disease, diabetes, weight gain and some cancers, and can also improve digestive health. 1. B: Avocado’s are jam packed with vitamin B which is essential in the production of blood cells and bone marrow, whilst ensuring a healthy metabolism which essentially helps you break down food. 2. K: They are rich in vitamin K, which we don’t often hear about in all the health magazines. Vitamin K is vital to ensuring your blood is healthy, bones are strong and makes sure your body uses proteins in the correct manner. 3. C: We all know that vitamin C is vital to help your body fight illness; It’s essential for humans as it ensures we attack unwanted visitors to our body, and provides us with comfort and content through day to day life. Avocado is packed with vitamin C so during those Autumn months include these into your evening salad to ensure your fighting fit for the winter ahead. 4. P: Potassium is also found in these fruits and is another health benefit commonly associated with energy and brain function. However today I learnt the potassium plays a vital role in three out of the five taste sensations, which in my books is a must. So next time you pick up an avocado, dis-miss those haters telling you they are fatty and not good for you, grab a knife, chop those bad boys in half and enjoy! This week’s #foodiefact is all about the humble beetroot. I’ve always known beetroot is packed with goodness, but to what extend, I wasn’t sure. Last week I watched the new series of Food Unwrapped on Channel 4, and they looked into the energy power that beetroot holds. Lately I’ve been getting back into my running, and would like to tackle a half marathon before summer arrives. I’ve never been one for energy drinks such as Lucozade etc., but there have been times when I feel lethargic and quite frankly, couldn’t be arsed to run – my mind wants to but my body won’t obey. Food Unwrapped looked into the power of beetroot, and how drinking a shot of beetroot 2 hours before exercising can help boost energy and help you go further and longer. I love beetroot, so I began adding it to my salads, and also made some, lets say, interesting, smoothies before running home after work. And to my surprise I felt more energetic – I ran 5k without stopping once, which of late has been unheard of. I felt almost high and full of beans, so I’ll be looking into more recipe’s I can do with this super-veg. 1. Beet Illness: Beetroots contains vitamin A, which is vital in the maintenance and strength of your immune system, and good vision. This weeks #foodiefact is all about the humble fruit, Butternut Squash. Often found in warm climates such as central and south America, this orange fruit is one of natures best kept secrets. Used primarily as a vegetable, and often used for recipes as a substitute for pumpkin, it brings vibrant flavour to most dishes and adds colour to a gloomy winters day. Butternut squash compose of many vital poly-phenolic anti-oxidants and vitamins. As in other Cucurbitaceae members, butternut too has very low calories; 100 g provides just 45 calories. It contains no saturated fats or cholesterol; however, is rich source of dietary fibre and phyto-nutrients. Squash is one of the common vegetables that often recommended by dieticians in the cholesterol controlling and weight-reduction programs. 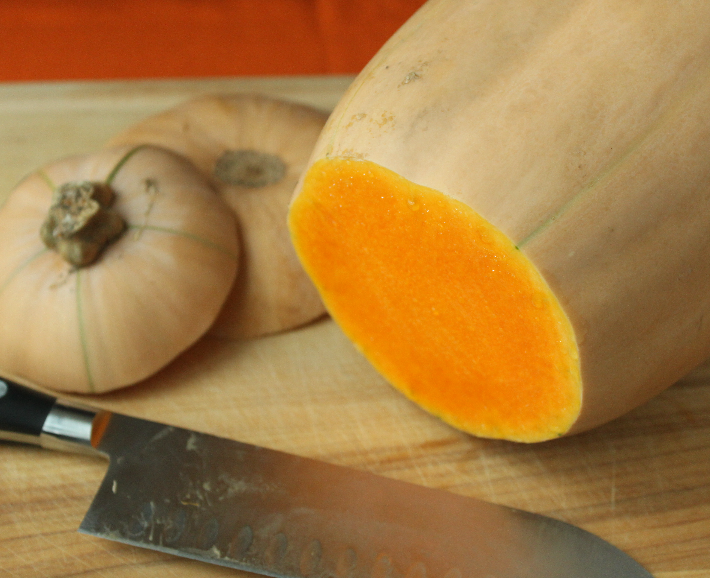 Be Bold: Butternut squash has more vitamin A than that of a pumpkin. Vitamin A is a powerful natural anti-oxidant and is required by the body for maintaining the integrity of skin, strength in eye-sight and enhances the body fight against disease. Be Beautiful: It is rich in B-complex group of vitamins like folates, riboflavin, niacin, vitamin B-6 (pyridoxine), thiamin, and pantothenic acid. If like me, these mean absolutely nothing to you, all you need to know is B vitamins are essential in healthy hair, nails and skin. Be Bright: It contains adequate levels of minerals like iron, zinc, copper, calcium, potassium, and phosphorus, which ultimately help you grow, encourage strength and flexibility and ultimately make you bright and breezy. Be Breaming: Butternut squash seeds are a good source of dietary fibre and mono-unsaturated fatty acids that benefit for heart health. In addition, they are rich in protein, minerals, and numerous health-benefiting vitamins. The seeds are an excellent source of health promoting amino acid, tryptophan. 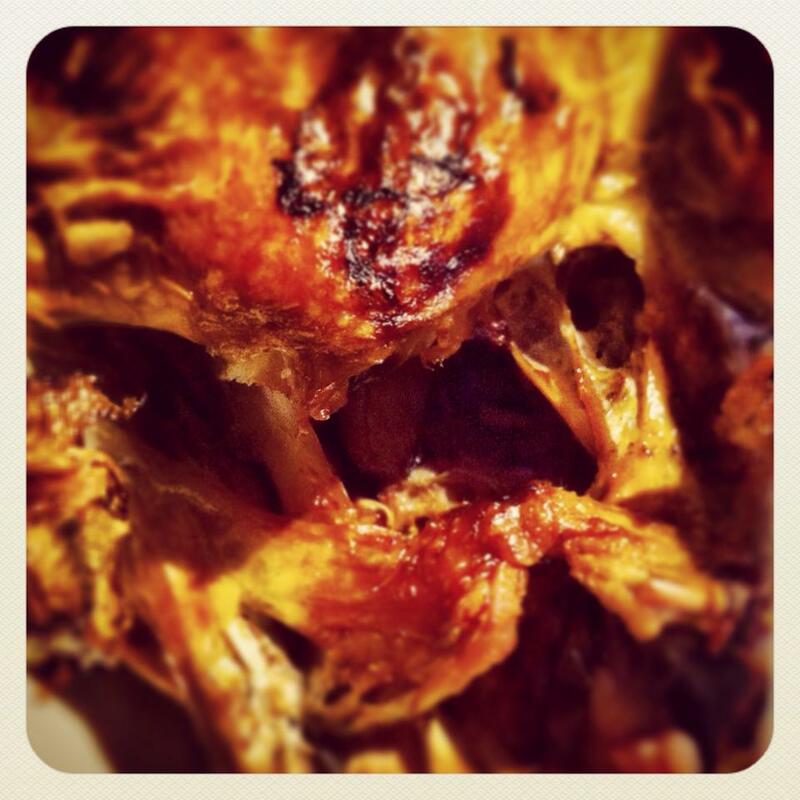 Tryptophan converts to health benefiting GABA neuro-chemical in the brain. So this is my fruit of the week. Buy it now. Check out @ModestMunching‘s Orange Thai Curry Recipe for some ideas to use this super fruit. It’s the only time of year when eating, consuming and drinking in excess is acceptable. It’s hard to imagine that before we reached the 19th century, Christmas was seldom celebrated. Today its a huge affair, from Gingerbread Houses littering the cities of Germany, to the coffee and cake parties scattered across Greenland; Christmas is a time to celebrate. For me, it’s always been about the food. Don’t get me wrong, as a child I would get butterflies in my tummy and a feeling of sheer happiness when I woke up and realised what day it was (despite the fact my older brothers used to wake me up in the middle of July and tell me it was Christmas…..I still never ceased to get excited). But, there was always food at the back of my mind; wheres my chocolate money at the end of my stocking? When will mum bring out the scrambled egg and salmon on toast? Can we have a left-overs sandwich with all the trimmings? Now, this explains a lot – except for the fact I was just as tall laying down, as I was standing up, this fondness of food has led me to this blog today. Even when the realisation that Santa wasn’t real (catching my Mum and Dad forcing mince pies down their gob and breaking carrots in half to resemble Santa and Rudolf) I found a new love of Christmas, and it was the all important dinner. I’d plan the menu in advance; i’d conjure up new and exciting ideas in how to make Brussels less like someone farted in your face; I’d lay the table down to precision, making Christmas Cocktails at 11 am (yep – early drinker) and I’d often help Dad serve the plates so they looked pristine. Despite this love of food and constant striving to create new and exciting dishes, this year I am looking forward to be wined and dined. However, I am determined to share my recipe for Brussels Sprouts…. it’s the one vegetable that gets a lot of slack, so I think its about time these little balls of farts became an edible part of the Christmas Feast…enjoy! Method: Heat oven before you start anything else to 220C/200C fan/gas 7. Bring a large pan of water to the boil and then add the sprouts and cook for 5 mins. Check with a sharp knife that they are half cooked – they should feel firm but easy for the knife to enter. Drain and set aside. Toss the sprouts with all the other ingredients in a bowl and season – don’t go too heavy on the Salt as the bacon will provide a lot of taste. Tip the ingredients into a large baking tray in a single layer. Place in the oven and roast for 30 mins, tossing halfway through, until the bacon is crispy and the sprouts are golden and tender. Where to buy? If you are lucky enough to have a grocers near by grab all your veg for Christmas there – but all good supermarkets will sell sprouts and they’re really inexpensive. When I say pantry, I mean your shelves, cupboards, nooks and cranny’s. One day I will have a kitchen the size of my flat, and I will have a pantry big enough to fill with foods from across the globe, but, for now, my pantry is basically, my kitchen. Every new year, brings a ‘new you’. Even if you fail miserably and end up in a McDonalds by the end of January with a big mac and an extra large portion of chips – if you begin with good intentions you’ve only got yourself to let down; and you can always pick yourself up again. Use the first week of January to pamper your pantry with good, nutritious foods, but foods that you will definitely eat regularly. There’s no point in buying mountains of Goji berries because you’ve heard they are the next best ‘super-food’ if you’re never going to eat them. Think about your likes, dislikes and habits that need to be forgotten and set yourself some achievable goals. For the first 4 weeks at least, I’ve decided to go pesceterian and completely cut out alcohol. I have no idea how well I’ll do, but what’s the harm in trying. I love meat, and could never cut this from my diet, but considering I have probably eaten the entire contents of a farm this Christmas, a little body cleanse can only do me good. The key is to be genuinely interested in getting healthy – otherwise there’s no point. Treat yourself to cook books, learn new recipes, educate yourself of other cuisines and always allow yourself a treat. It’s not rocket science, we all know how to be slim and healthy – eat well and exercise. The hardest part is motivating yourself to do so; so fill your kitchen with more good than bad, and you’ll help yourself reach your 2014 goals. A great nutrition blog to read is smittennutrition.com which includes some great facts and recipes.